Made in Turkey, this Unique Loom Sofia Collection rug is made of Polypropylene. This rug is easy-to-clean, stain resistant, and does not shed. Colors found in this rug include: Beige, Brown, Tan, Beige. The primary color is Beige. This rug is 1/4" thick. 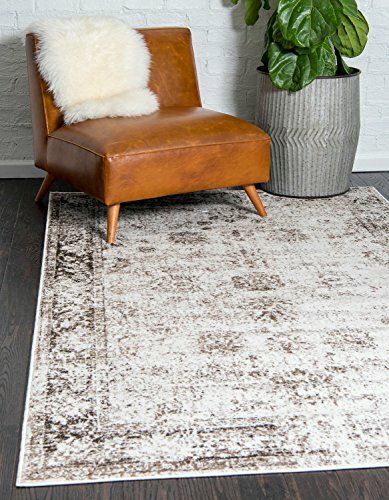 The measurements for this rug are: 5 feet wide by 8 feet long. Features an allover pattern, a border, a floral pattern, and a vintage style.